Compact stereo amplifier, delivers 25W + 25W (8Ω) or 70W (8Ω) as a bridged monoblock. 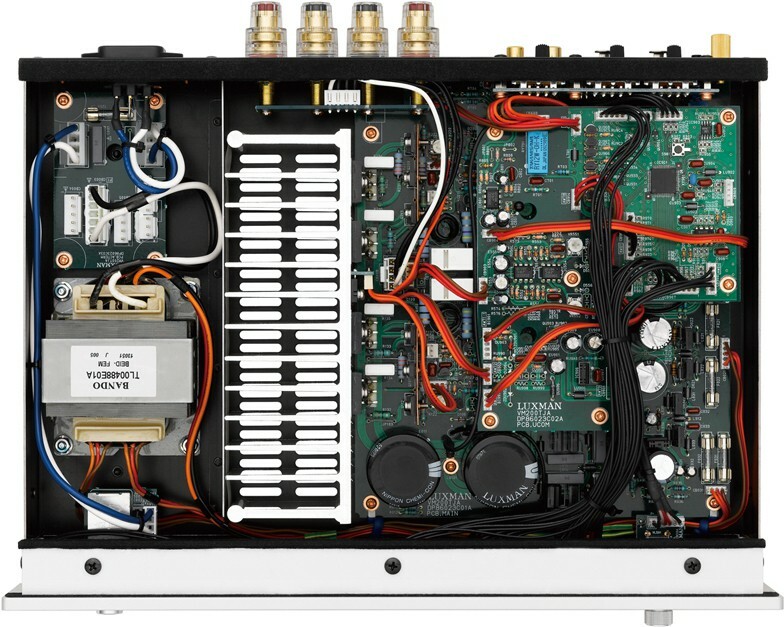 The M-200 is designed to be portable and completely compatible with fresh new audio source components and high performance audio applications coming to market, such as computer music sources. What’s more, its rated output is 25W+25W (8Ω), concentrating on the ultimate sound quality rather than quantity. Instead of rigidly adhering to the traditional audio forms, the M-200 introduces modern high performance parts and assemblies that will meet the requirements of the most demanding audiophile. 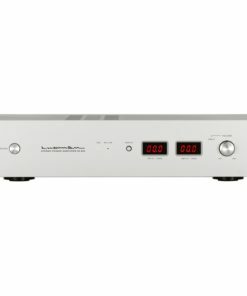 This Luxman fully featured new product provides both beginners and hi-fi experts with a wide variety of audio solutions. 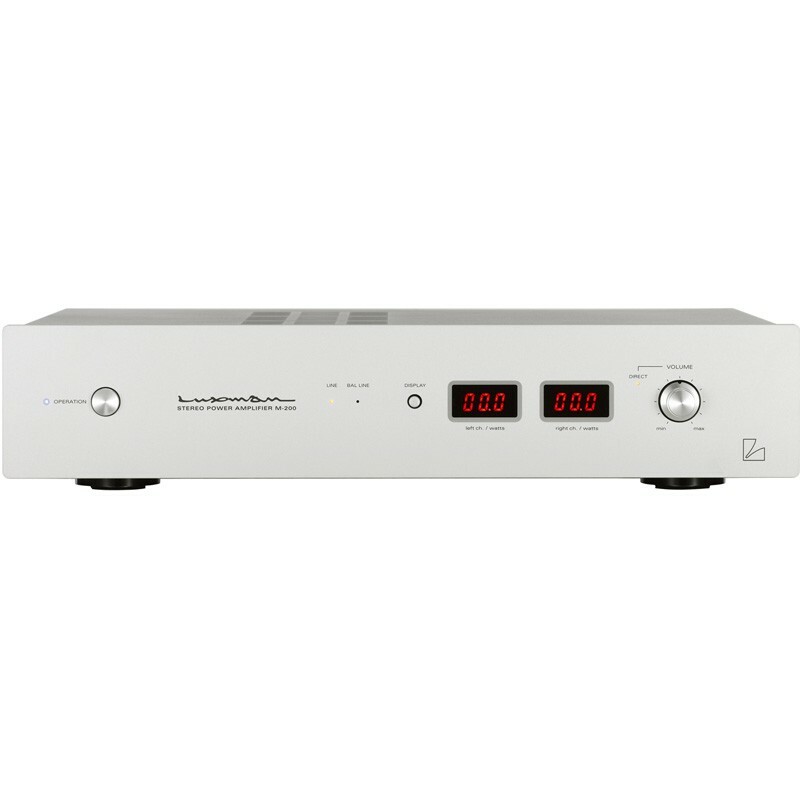 As a high quality stereo amplifier, M-200 can be used with various audio components, such as the USB D/A converter DA-200 with high-grade built-in potentiometers and the E-200 phono stage. 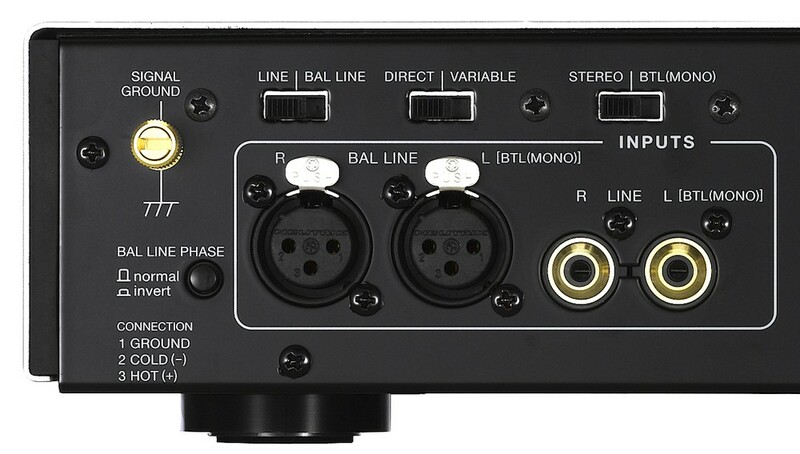 The M-200 has both fixed and variable inputs, so you can be used with an external preamplifier if you wish. Furthermore, in BTL mode M-200 can work as a mono amplifier with 70W (8Ω) output to achieve greater driving forces for large-caliber speakers. You can also activate/deactivate its built-in pre-amplifier and add discrete pre-amplification if you prefer to do so, making the M-200 highly versatile in a variety of applications. 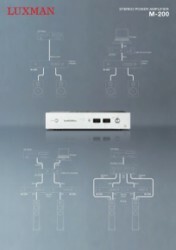 The front panel display is able to process and track reproduced signals in real-time. It is also equipped with a digital power meter (backlighting can be switched off), which can be switched between power Output, Speaker Impedance, Hold Time and other digital settings. All the above provide you a visual and informative feast while enjoying the music. 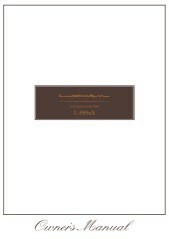 Can be used as a single source integrated amplifier or as stereo or mono amplifier. 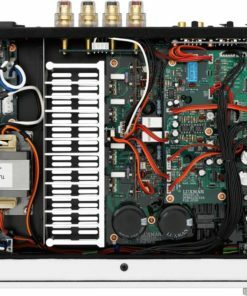 There is a volume control on the front panel which can be bypassed, such as when you chose to drive it from an external preamplifier, like the DA-200. 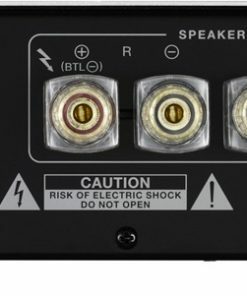 By sliding the BTL switch on the rear panel, the M-200 will almost triple its output power from 25 watts per channel (8Ω) to a 70 watt monoblock (8Ω). 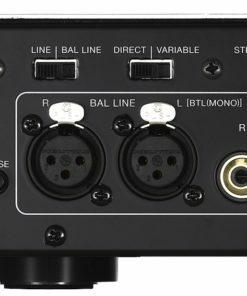 With the balanced input, the phase can be easily inverted by simply engaging the phase invert switch on the rear panel.